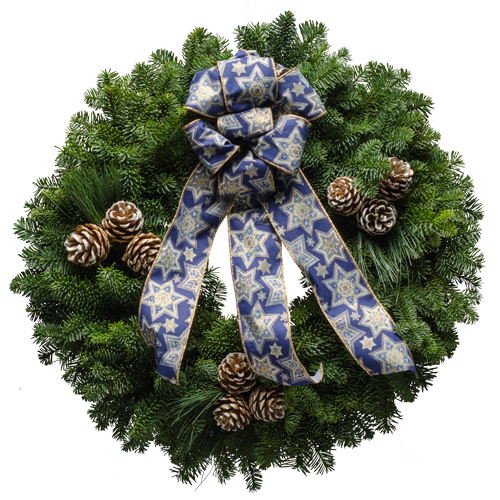 The fresh Hanukkah wreath has a tasteful blue and white bow imprinted with the Star of David. The white tipped gold painted cones really set off the forest fresh evergreens. This is a nice gift for celebrating Hanukkah. "I love your wreaths and so do all of the people I give them to!"